Vu Lam is the Co-Founder of QASymphony. He has significant and diverse software industry experience in the U.S. and international markets, including Asia and Europe. An entrepreneur at heart, Vu has started and grown multiple technology ventures, including Paragon Solutions, a U.S. based technology consulting company with international development centers in Bangalore, India, and Ho Chi Minh City, Vietnam. Following Paragon's acquisition by NASDAQ traded FCG, he led the growth of the organization from 400 to 1300 resources. In 2011, Vu co-founded QASymphony with Josh Lieberman. 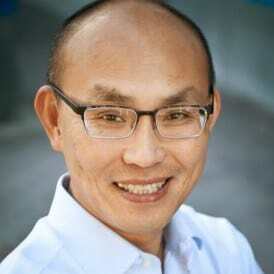 Trusted for his leadership and deep industry knowledge, Vu is a board member for several technology startups. Vu received a Master of Science in Electrical Engineering from Purdue University and a Bachelor of Science from University of Illinois at Urbana-Champaign. This week I am proud to announce the public launch of our new visual reporting tool, qMap. Have you considered evidence of testing?